To mark our fifth birthday, we launch our new website! Please take a trip to the new website. SEATTLE, WA, July 25, 2011 – Siemens, a leader in electrical engineering operating in the industry, energy and healthcare sectors, is challenging filmmakers from around the world to show, in HD video, how people use technology to overcome humanity’s challenges. To gather these stories, the German company is launching a video contest on Zooppa, the world’s leading source of user-generated advertising. Titled “Changing Your City for the Better,” the contest awards filmmakers who submit the most captivating short films that demonstrate how technological innovations improve urban life and create a better world. Evoking its 160-year legacy of technological excellence in innovation and research, Siemens wants to showcase global filmmaking talent and bring attention to the role that engineering plays to increase the quality of urban life. Whether its how innovations aid the fight against climate change in Berlin, contain dramatic urbanization in São Paolo or ease the demands of population growth in New Delhi, the video contest will provide a global perspective on the sustainable cities of tomorrow. “Changing Your City for the Better” accepts entries on Zooppa through September 30, 2011. The contest offers 15 cash awards totaling $40,000, with the first place winner receiving $15,000. Siemens is looking for contributions from around the world, so videos can be submitted in any language, so long as an English language text script accompanies the submission. All videos will be judged by representatives of Siemens based on equal parts storytelling ability, HD production value, adherence to the brief and accuracy. For more information about how Siemens is helping city dweller around the world win the future, visit their website here. ABOUT ZOOPPA: Zooppa is the world’s leading source of user-generated advertising. With a creative community of over 115,000 members, Zooppa has worked with global brands like Samsung, AT&T, Nike and Google and agencies like BBDO, MindShare and Razorfish to produce fresh and fun creative ads. Beyond content, Zooppa’s innovative model offers brands and agencies a cost-effective, strategic approach to engage consumers, build online word-of-mouth and gain consumer insights. ABOUT Siemens AG (Berlin and Munich): Siemens AG is a global powerhouse in electronics and electrical engineering, operating in the industry, energy and healthcare sectors. For over 160 years, Siemens has stood for technological excellence, innovation, quality, reliability and internationality. The company is the world's largest provider of environmental technologies. More than one-third of its total revenue stems from green products and solutions. In fiscal 2010, which ended on September 30, 2010, revenue from continuing operations (excluding Osram and Siemens IT Solutions and Services) totaled €69 billion and net income from continuing operations €4.3 billion. At the end of September 2010, Siemens had around 336,000 employees worldwide on the basis of continuing operations. Further information is available on the Internet www.siemens.com. The board is currently taking over all functions of the DFA, and its next board meeting is Wednesday the 5th of October 2011. The board decided on offering the first ever DFA Honorary Membership in terms of the it's constitution to Marc Schwinges. All DFA meetings are linked via Skype between the provinces. Film submissions to the Hot Docs 2012 official program are now being accepted. The guidelines below are subject to change without notice. The next edition of Hot Docs takes place April 26 to May 6, in Toronto, Canada. Please consult the submissions FAQ page for additional information. Please note that submission guidelines for Hot Docs 2012 are subject to change without notice. To read further and view the original post, visit the web site. Early bird registration for the People2People Documentary Conference closes today, September 1st. Standard registration is now R350 for individual registration and R750 for company registration. This rate is applicable until the 6th of September only so book now! Those who register after the 7th of September will pay the late registration fee of R500 for individual registration and R900 for companies. Remember DFA members pay half price- so R175 if you book before the 7th of September! 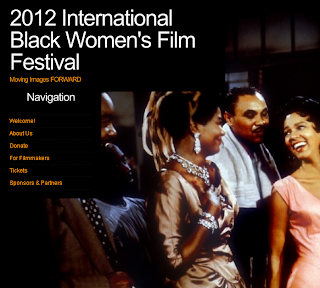 Welcome to the 10th International Black Women’s Film Festival! I established this film festival in 2001 and presented the first festival in October 2002 in San Francisco, CA, and I am proud to present the tenth year of the festival! The festival is scheduled for July 20th and July 21st, 2012 in San Francisco! I started this film festival as a way to celebrate Black women filmmakers from around the world and to show audiences that there are films about Black women that do not involve negative stereotyping, violence toward Black women, and that don’t show Black women being berated and exploited. The screenings showed Black women presented film through their filter which produced an entirely different outlook on the role of Black women and the roles of Black women. Not all of the filmmakers are Black women. Some are directors who just happened to choose a Black women as a featured actress. The casting of some of these women were just natural choices of gifted actresses, but the act of casting them was sometimes unintentionally revolutionary and their image was not the usual Hollywood image of leading actresses. 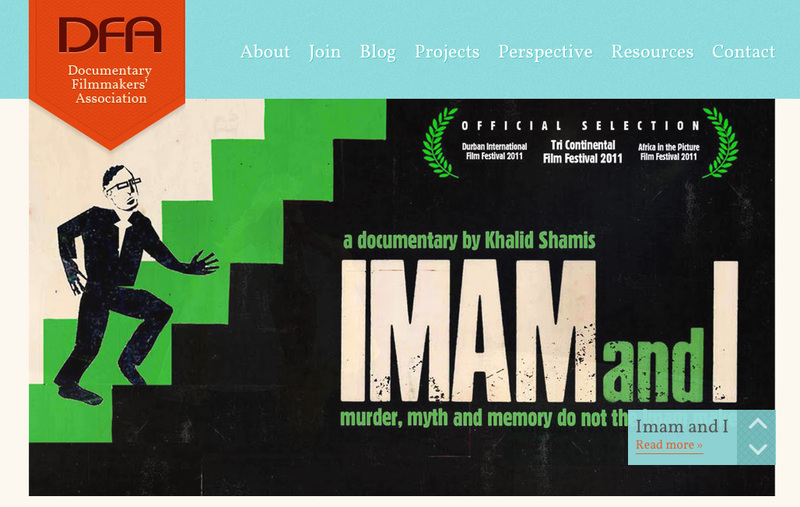 I want to see you (or your film) at the 2012 festival! 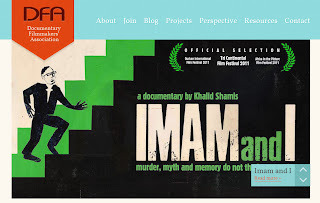 To submit your film, visit the web site.